Do you live in Michigan? Do you love donuts, wine, meeting new friends, and making pretty things? Then you've come to the right place! 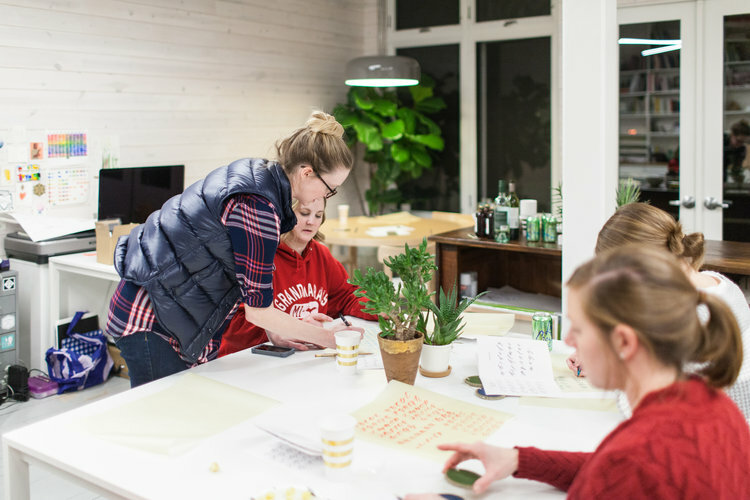 Join us for a Hand-Lettering Workshop on Wednesday, January 9 at 6:00pm at our brand new studio space in downtown Suttons Bay, Michigan. I'll be teaching the basics of how to hand-letter, what my favorite tools are, and how to use your new skills to make fabulous, one-of-a-kind gifts for any occasion!! Absolutely NO experience necessary to enjoy this class. 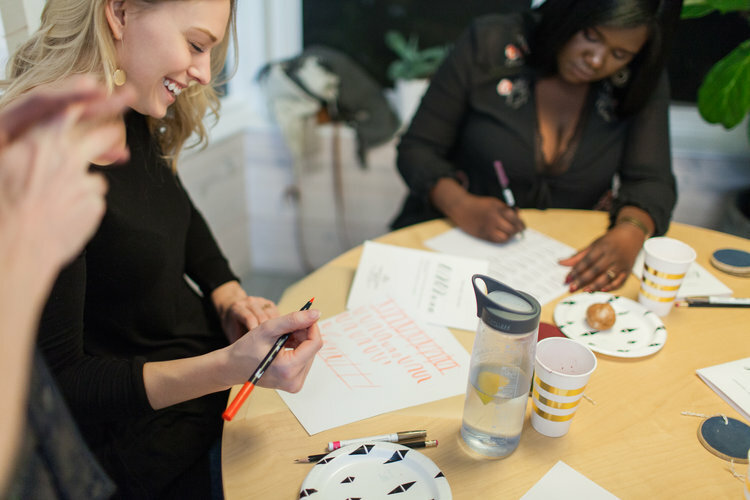 Each guest will go home with a hand-made gift, a hand-lettering basics guide, and my favorite pen so you can continue this new hand-lettering journey at home. I will be in touch one week before the class to finalize any details. All tools needed for the class will be provided. The class will last roughly 2 hours, and light snacks & refreshments will be provided. We have a strict no-refund policy so please be ready to hand letter on January 9, come rain or shine! Hi! I'm Kristin. I am the founder & creative director of the custom stationery company, Sable & Gray located in Traverse City, MI. I specialize in bespoke wedding invitations and hand painted watercolors. 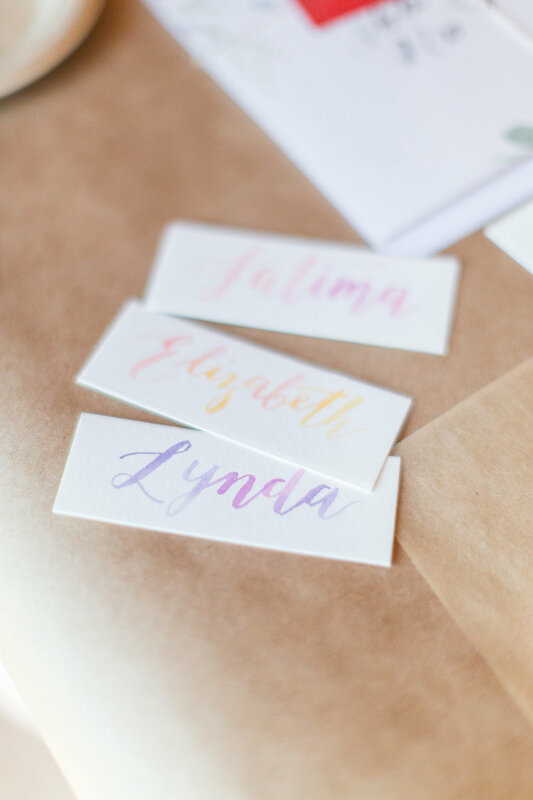 I started Sable & Gray in 2014 with a mission to share my love of design and pretty paper goods with others, and to create a stress-free environment for brides to work one-on-one with a designer (me!) 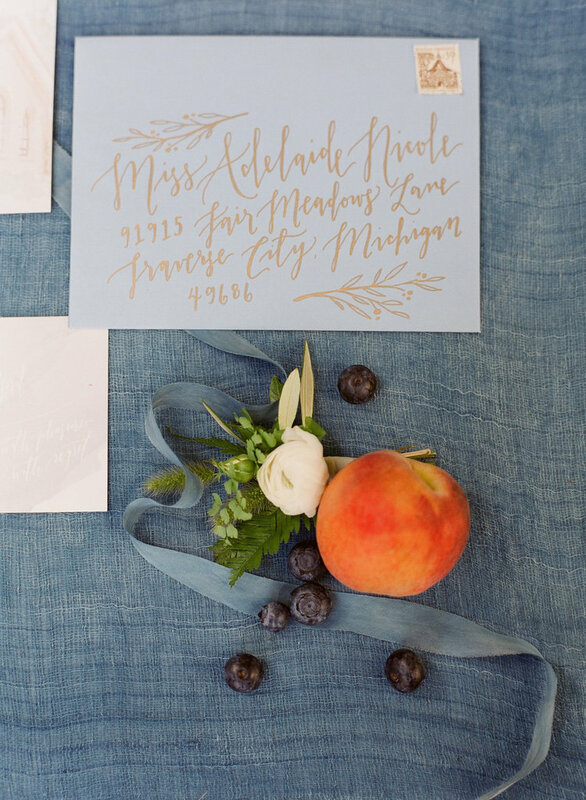 to create their dream, one-of-a-kind wedding invitation suites. I am a mama to one super smiley baby, a wife to a very creative hubs, a wrangler of two crazy dogs, a lover of lattes, and am always on the hunt for the perfect antique teacup. I can't wait to meet you! Want to know about any future workshops? 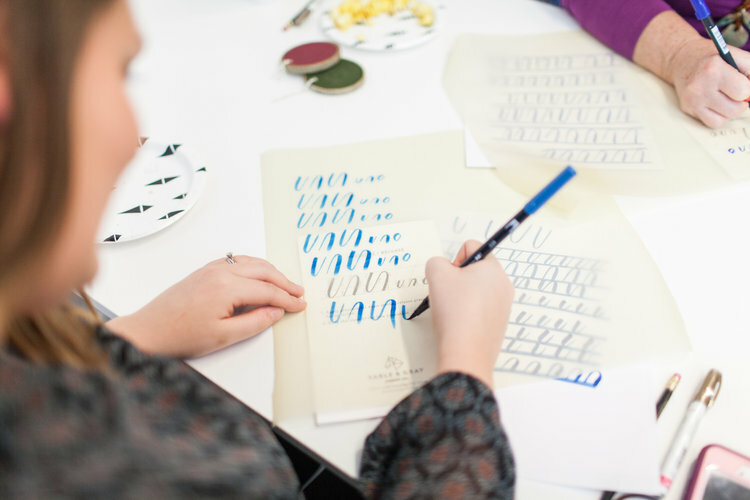 Sign up for our email list and be the first to find out about any future workshops. Don't worry, we won't fill up your inbox... we hate spam too.